1. A dishwasher- and microwave-safe bowl designed with a double wall so no matter how long you heat up your leftovers, it'll always be cool to the touch. 2. A pair of foldable metal aviator sunglasses that'll fit perfectly in your pocket. 3. 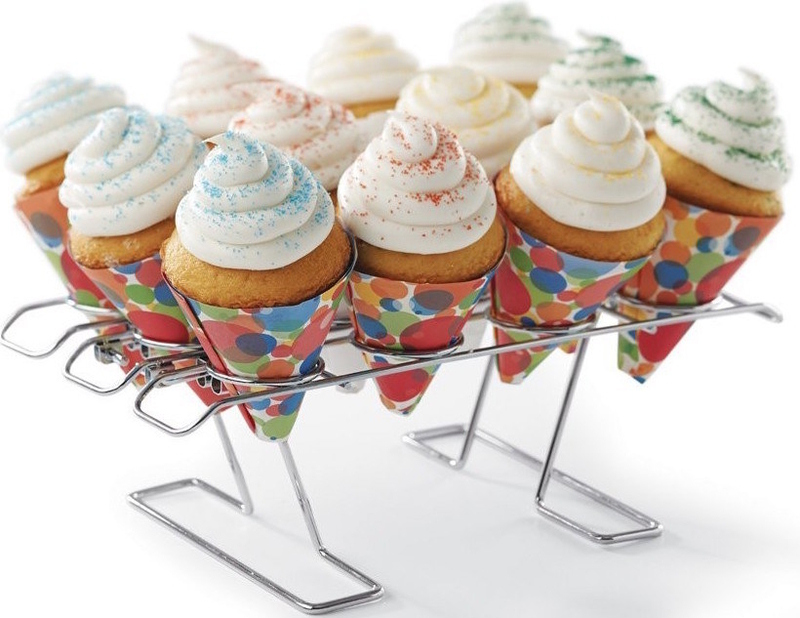 A personalized portion of the best damn confetti cake you can cook in a microwave — just mix it with some water in a mug and zap it for just about a minute, what'll come out is heaven. 4. A pair of stainless steel Wonder Woman earrings for when your Bracelets of Submission need a little help. 5. A cookbook filled with facts, recipes, and tips from Hamilton's era — just because you can't get a ticket to his musical, doesn't mean you can't get a seat at his table. 6. A vibrant bouquet of over six dozen rainbow roses to help you add a pop of color to your home during this dreary winter. 7. An adorable, cuddly beagle toy with a special collar that'll translate his barks so you always know what he's trying to say. I got it for my nephew and it's the cutest thing the world has ever known! 8. A pair of heat-resistant silicone Darth Vader oven mitts to keep your hands protected when you reach for something on the dark side...of the oven. 9. A bottle of Jennifer Aniston's signature eau de parfum so you can finally know what Rachel Green smelled like. Spoiler alert: she smelled liked water lilies, the salty sea, magnolias, freesia, and Sambac jasmine. 10. A microwaveable poacher that'll let you make a perfect egg with just a little water. 11. A dishwasher-safe heart and poop emoji cookie cutter set, because when you give a mouse a poop emoji cookie then he's gonna ask for a heart emoji one — so you better be prepared. 12. A super soft and cozy Ugg blanket, because on more than one chilly night you've wondered what it would be like to cuddle up in the warmth of your boots — now you'll know! 13. A set of super convenient vitamin packs filled with six delicious gummies that'll help give you all the nutrients you need in a day. Each vitamin pack is filled with six gummies that'll deliver 15 essential nutrients, including methylfolate, vitamin K2, CoQ10, vitamin D3, and biotin, and omega 3 DHA, and EPA fish oil. 14. 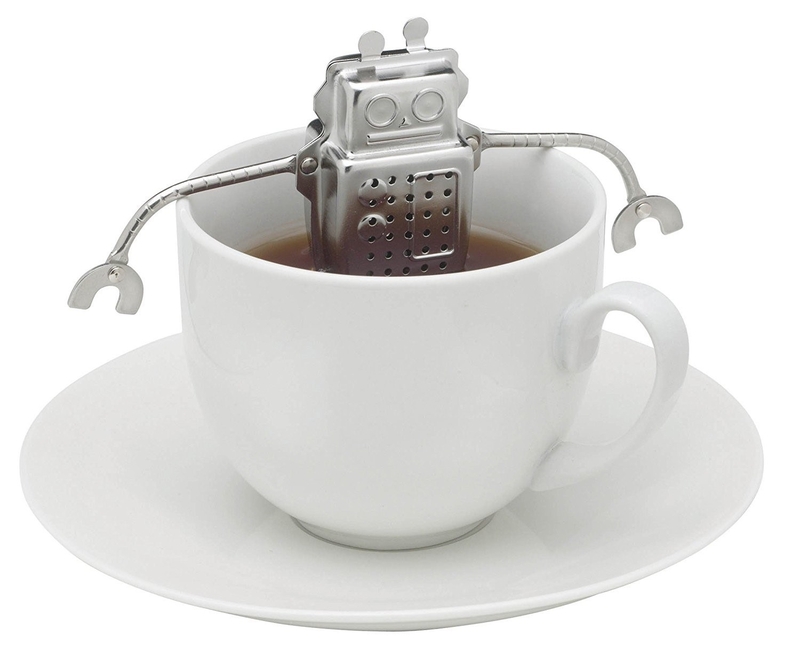 A stainless steel tea diffuser — now, while you prepare your favorite warm beverage, you'll also be letting a little robot soak in a hot tub. 15. A pair of Sorel tall rain boots perfect for stomping around in all those mystery puddles. 16. An appliance that'll let you make up to 42 oz of delicious yogurt in just under 12 hours. Just add your milk, active cultures, and your favorite flavorings to make super creamy yogurt in the comfort of your home. Yolife Yogurt Maker provides the perfect conditions for the active cultures to quickly turn your milk or soymilk into nutritious yogurt filled with those much-needed probiotics. Included you'll get seven six oz glass jars — one for every day of the week. 17. A super yummy mint dark chocolate hot chocolate mix, because the best part of waking up is THIS stuff in your cup. 18. A charming 10" glass cake stand so you can put all your delicious treats on full display — they are works of art after all! 19. 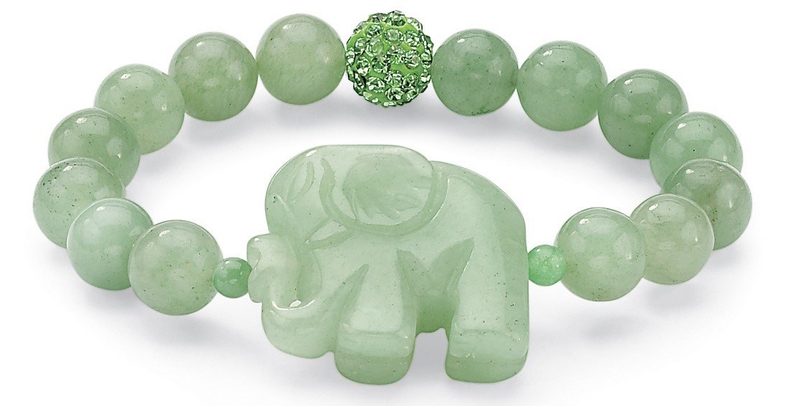 A beautiful green agate beaded bracelet you're surely never gonna forget. 20. A super cozy 100% cotton double terrycloth robe that'll make your tiny bathroom feel like a luxurious spa. 21. A box of almond mocha biscotti you'll be able to pair perfectly with your favorite cup of coffee. 22. 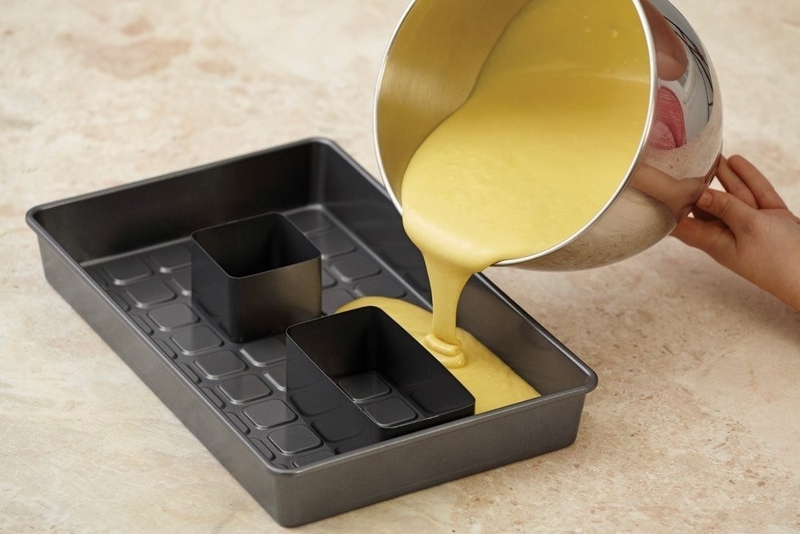 A non-stick cake pan set designed so you can build out 39 different letters, numbers, and symbols with just the nine pieces included. 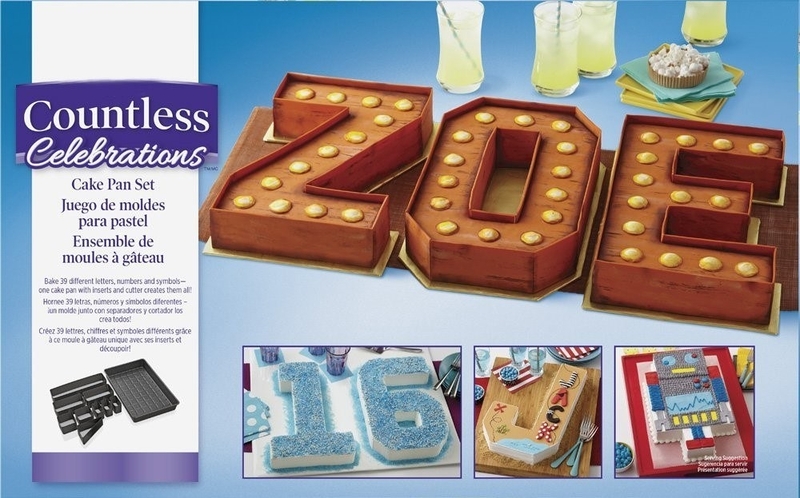 Just snap-in the interchangeable inserts to create perfect stencils for all your yummy cakes. 23. A historical ceramic mug with proof that generations of women have been yielding their many powers to enforce and change legislation — whether or not I agree with them is another story. 24. A three-tier pull-down spice rack you can mount into your cabinet so your cooking necessities are always within reach. 25. A copper crisper that'll turn your oven into an air fryer — letting you make your favorite snacks into healthier snacks. It's designed with an elevated nonstick tray that allows hot air to have a 360-degree access to your food, giving it the perfect crisp and brown all over. 26. 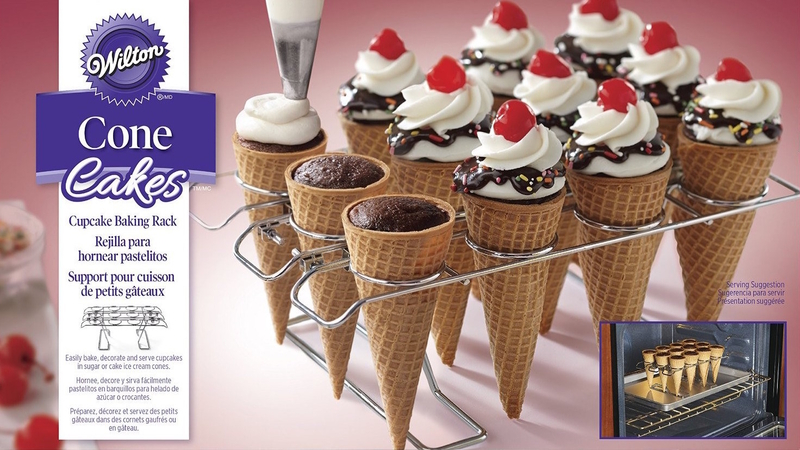 A cone and cupcake baking rack you can use in the oven to make delicious treats and then use afterward as a perfect stand to decorate them. 27. A Lite-Brite Magic Screen, because now you can finally make all the glowing artwork you dreamed of creating as a kid. 28. A delicious and organic seven nut and seed butter to help fill you up when you're feeling famished. 29. 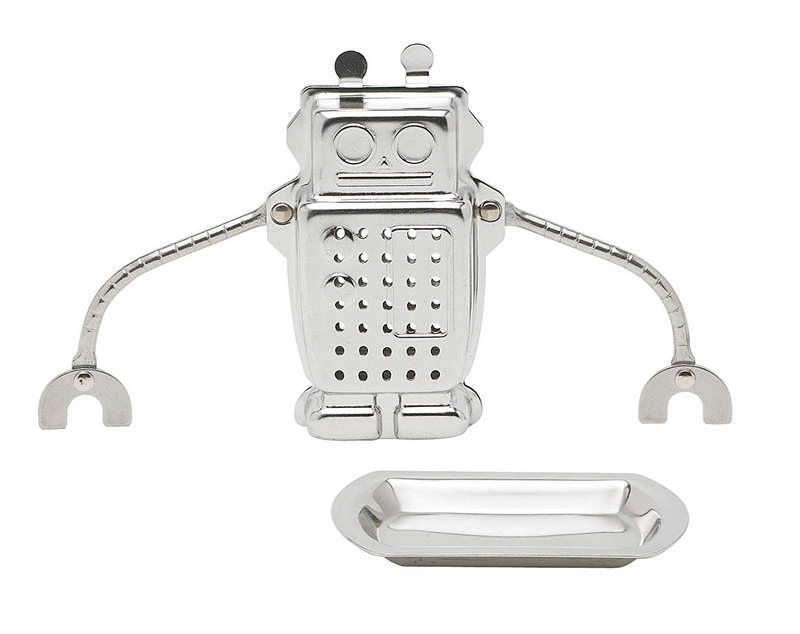 And a single cup loose tea infuser so you have a delicious mug of your favorite tea and not the whole freaking kettle. Place the glass infuser (filled with your favorite loose tea) into the included mug and top it with the lid. In just a few minutes, you can pull out the infuser and savor your own delightful individually brewed cup of tea. Who knew Jet had such cool stuff?